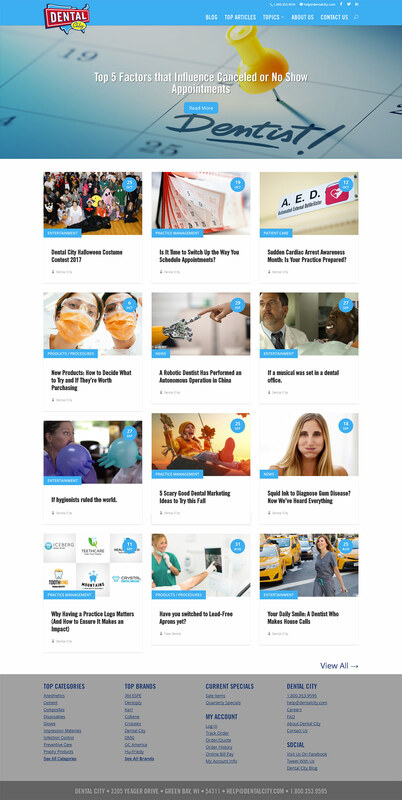 The New Dental City Blog website is live! This blog is an extension of DentalCity.com. We are jumping into the world of Content Marketing. This is a new branch in marketing for Dental City. Changing from a sell sell sell perspective into a content rich with education and entertaining topics. This will increase brand awareness and drive more traffic to the website. With this blog creation my role has been creating the design, building the entire site, working with our sales team to find the hidden problems we want to solve for our customers and sharing of content through email and social platforms.